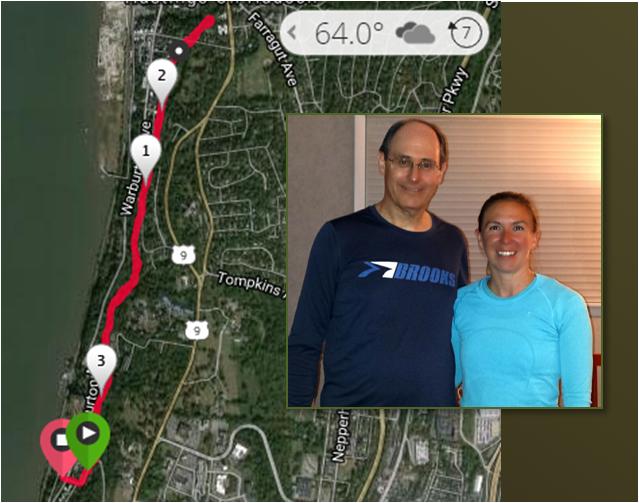 It had been more than five years since I ran with Adventure Girl, but when we got onto the Old Croton Aqueduct (OCA) trail yesterday, it was like we'd never left. AG was in town from her home in Missoula for a college reunion and then some. Her schedule this week was very busy and I was thrilled that she came to my office on Thursday to run the OCA with me. Although it's less than a half a mile from my office, it was the first time I've been on the OCA since we ran it back in 2009. The plan was for AG to accompany me home after the run so she could join the ER family for dinner. Our challenge was getting on the trail in time to get a few miles before we made the long drive back to Long Island. We'd considered running at Rockefeller State Park, but the extra driving would have gotten us home too late. Instead, we relied on AG's supernatural navigation skills and found parking that got us very close to one of the OCA entry points. After running a steep grade north of Greystone station, we reached the trail and proceeded north. 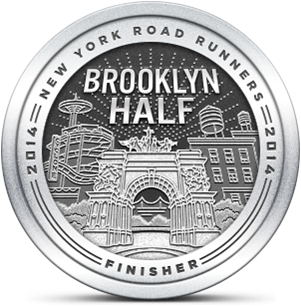 This trail runs from the Bronx to Croton and passes through a number of towns. The trail sits between residential areas yet feels as remote as being in the woods. We were able to see the Palisades and the Hudson River and shared our path with a couple of deer. We turned around when we reached Hastings-on-Hudson. Our pace wasn't especially fast, but we moved along. I gave AG details about my back injury and recovery and she told me about her adventures running an informal 54 mile ultra across the Bob Marshall Wilderness and a 50K she did in Oregon. Our run seemed to go by in minutes and we managed to get back to my house in enough time for dinner and a birthday celebration for both AG and my son. AG is like a family celebrity and we had a great time catching up with her. All too soon we were putting her on a train back to NYC so she could continue her New York adventures for one more day. Between the two weekday holidays and yesterday's run, I managed to get to the weekend with more miles than usual. I did an elliptical session today as a change of pace, but I'm expecting to get back out on the trail (paved or otherwise) tomorrow. Awesome! Sounds like you guys had a great reunion! It was really great and now I want to run Rockefeller. Have you ever done that?